Aligning Teams for Fast Response and Improved Results. SAM SHOWS ORGANIZATIONS HOW TO SWIM, SURVIVE, AND THRIVE. In his workshops, seminars, books, and online classes he provides tangible solutions to address the challenges of the new gemba, where multicultural teams must interact in different languages with physically distanced players. SAM HELPS COMPANIES ZERO IN ON INVISIBLE SOURCES OF WASTE. miscommunication, so that true countermeasures can be implemented toward sustainable solutions. SAM IS CHAMPIONING QUALITY INTERACTIONS. Because communication is everyone’s responsibility. Communication is the new lean frontier - are you ready to explore it? The World is the new shop floor. 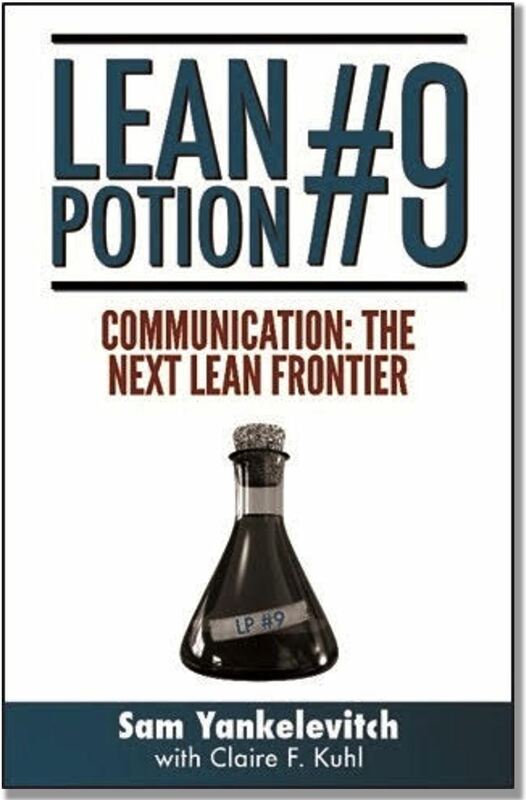 Lean Potion #9 challenges readers to apply the transformational magic of Lean thinking to the waste and confusion that plague global supply chains when cultures collide and meaning gets mangled in even the simplest conversations. See the new waste rooted in communication, distance, and culture. As organizations evolve into global networks, Lean initiatives must now meet new needs. The book provides ideas, illustrations, and examples on how Lean can highlight the problems created in these interactions so they can be tackled, reduced, or removed. The cost of an enterprise’s faulty communication can literally make or break a product. 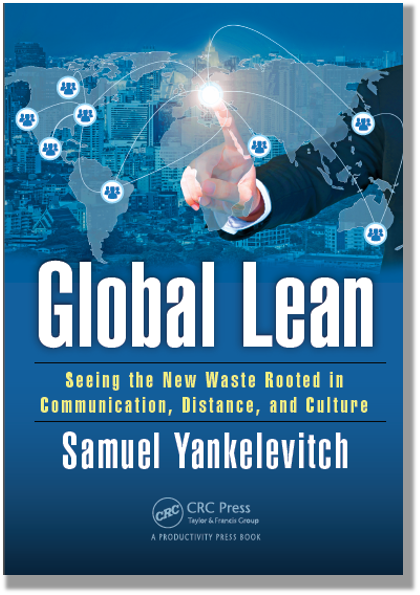 Lean Communication is an introduction to concepts associated with Lean methodologies and how these can be adopted to uncover waste and drive improvements in the interactions between global participants in an organization. TEAMS THAT GET THINGS DONE RIGHT - THE FIRST TIME. IF COMMUNICATION IS A PROCESS, WHY CAN’T WE USE QUALITY AND LEAN THINKING TO IMPROVE COMMUNICATION? In an entertaining, yet professional approach, Sam takes us through the logic of adopting the skills we already have as continuous improvement and quality professionals to reduce costly misunderstandings in our complex organizations. How can you tackle the three factors that are contributing to costly project delays? Sam exposes these seemingly invisible factors through real cases and clients he has helped. Just because we don’t see them - language, culture, and distance - pose a hefty risk to every project that involves international partners.  Sam offers proven solutions to reduce such risks. Sam shows how coordination and alignment are the key to reducing premium costs. Before anything gets done we have to communicate, but we really don’t do this very well. In this presentation he provides proven ways for supply chain professionals to become leaders in removing barriers to on time, on budget delivery. Get in touch or invite Sam to speak at your next event.